The vintage style is loosely defined by incorporating accessories and accents from an older era. This style should take you back to an elegant time in history, carrying an abundance of nostalgia and charm. 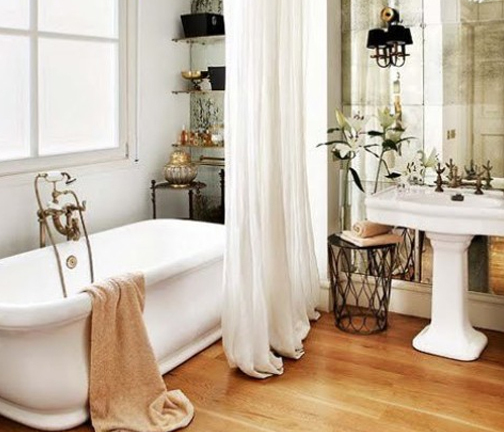 The bathroom is the perfect place to add vintage elements. 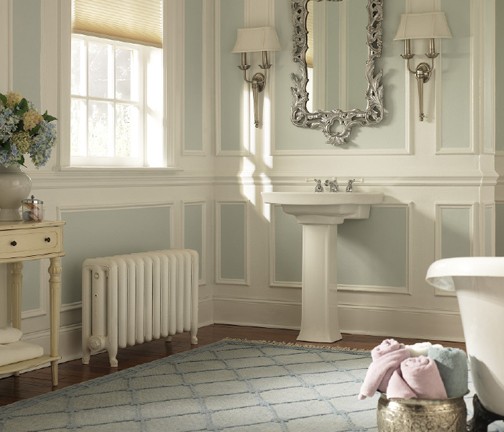 Below are some ways you can incorporate old world flare to complete your vintage bathroom. Mint, mauve, grey, white and cream are all iconic colors of the vintage era. Mix and match any of these colors and you will definitely achieve that perfect palate. To make these colors work in the 21st century, don’t overdo it. 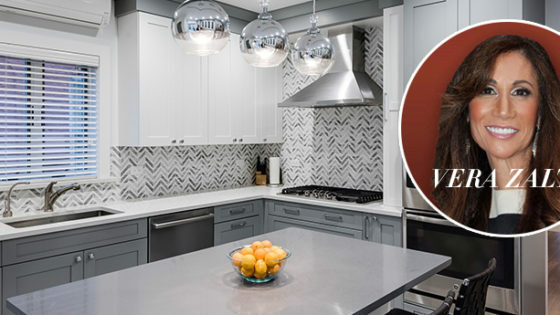 Stick to a neutral palette for things like the tiles and wall colors then choose one bold color for your accents to pop. Let’s begin with the biggest and most beautiful vintage element for your bathroom, the copper free standing tub . 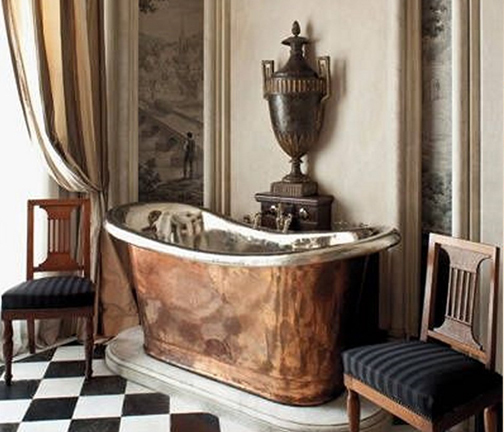 These vintage style tubs were a luxury item in the 19th century. 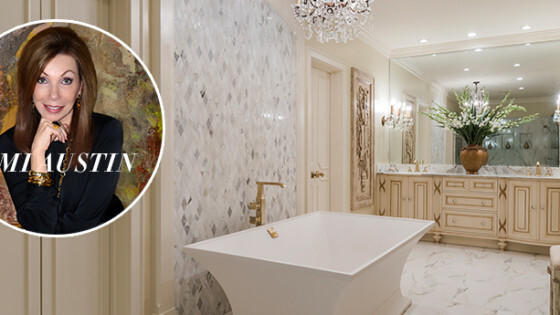 Bring back the luxe and make this tub the centerpiece in your bathroom. 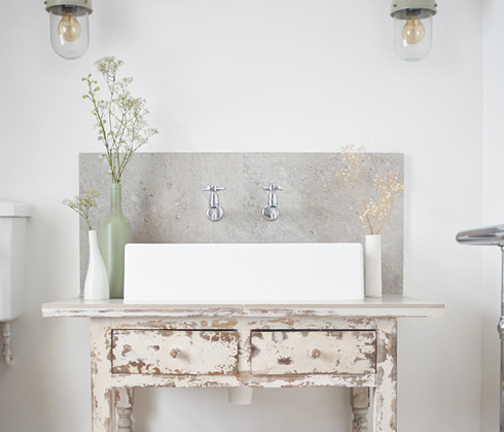 Pedestal sinks are another common find in many vintage style bathrooms. The decorative accents and edging in the stand are what gives a pedestal sink the vintage flare that a standard vanity doesn’t have. Pair it with this brass single hole faucet from the Vintage III Collection by Whitehaus for the perfect match. These are great to have in the bathroom for a family with small kids. Not only is this a great functional piece, but it will work as a décor item as well. Fit this small stool under your pedestal sink to take up space, and stack a few toilet paper rolls for some décor. 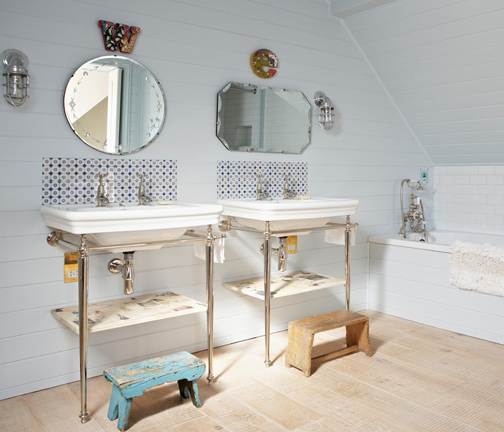 Wooden crates are so versatile and great for many uses in the bathroom. With all the toilet trees and bath products floating around in your bathroom, gather and organize them into an antique crate. 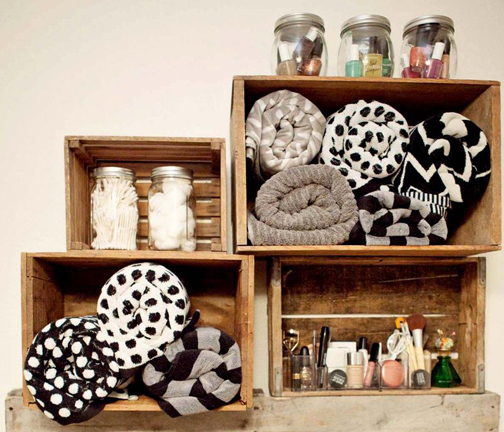 Or, try stacking a couple of crates in the corner of the bathroom and fit some towels inside. Old suitcases are also great for housing toilet paper and towels. This is another well-functioning piece that looks so darn cute! Vintage wall art can be anything from older photographs to vintage inspired paintings and posters. 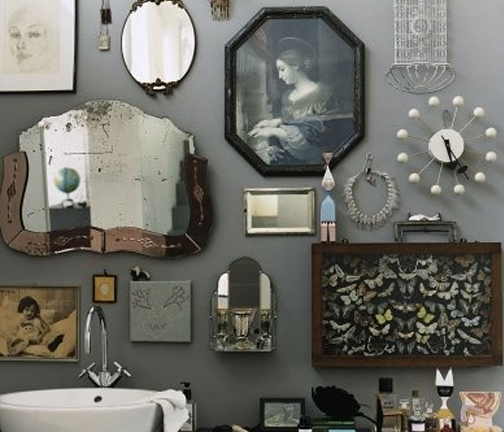 Create a collection of a mix of photos, mirrors and objects for a true vintage feel. A grouping of sepia tone photographs will portray that old world feeling as well. The small details are the most important part. To really pull off a look in any room you need to complete the design down to the smallest details. This is where knobs, fixtures and hardware come in. 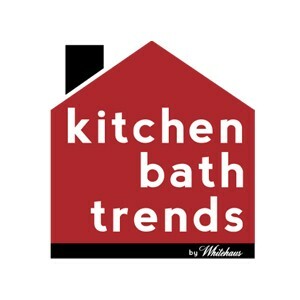 Glass knobs are an iconic vintage staple in older homes. 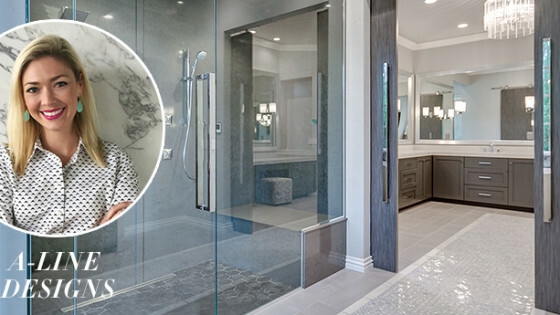 Pair these glass knobs with a gold vintage faucet and you can’t go wrong. Don’t be afraid to display more than one mirror. 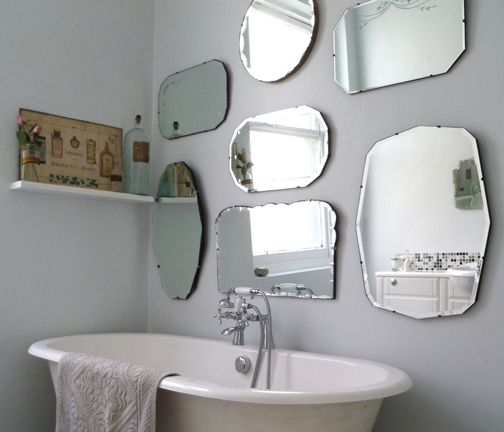 Create an interesting layout with some different shaped mirrors rather than buying a new one. 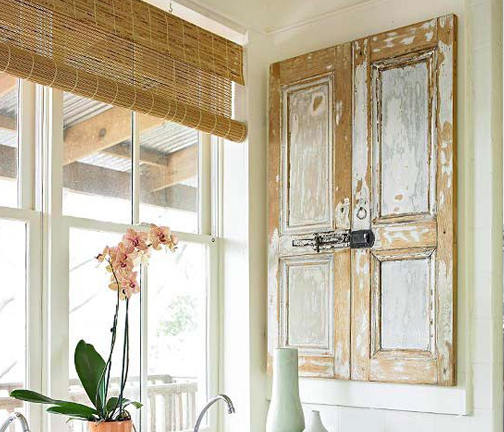 There are so many things you can do with a pair of old shutters. Besides adding character and texture, these pieces can be used in so many ways. A door for your medicine cabinet, attached to the wall to hang towels. Find an antique dresser or piece of furniture and turn it into a vanity. Not only will your vanity be unique to your home, but you can also save a bit of money by using a piece you already have! 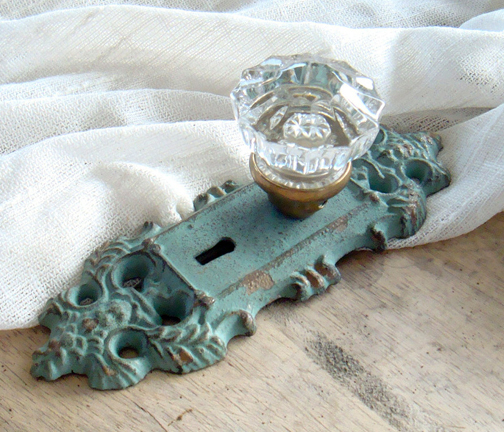 Customize this piece with some antique knobs like these antique verde ones by Whitehaus Collection.